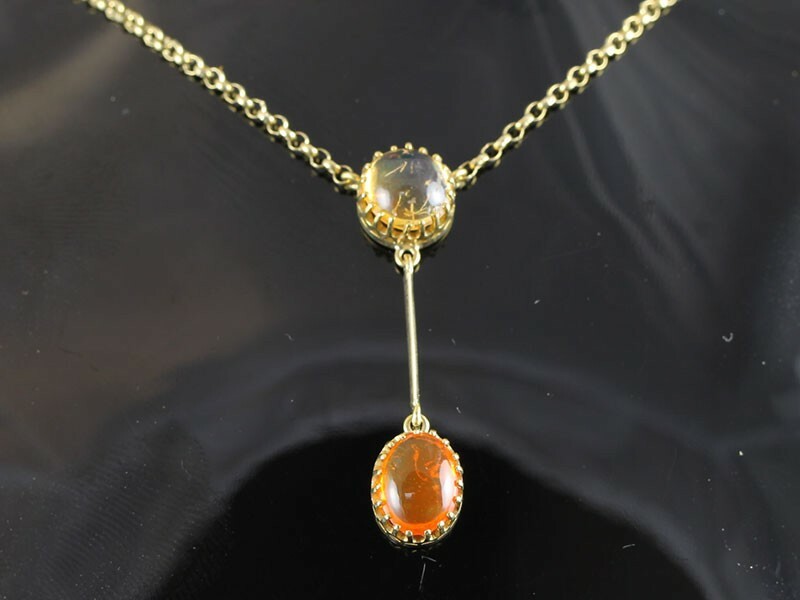 This stunning necklace features two natural Fire Opals. The Fire Opals are vibrant and striking. 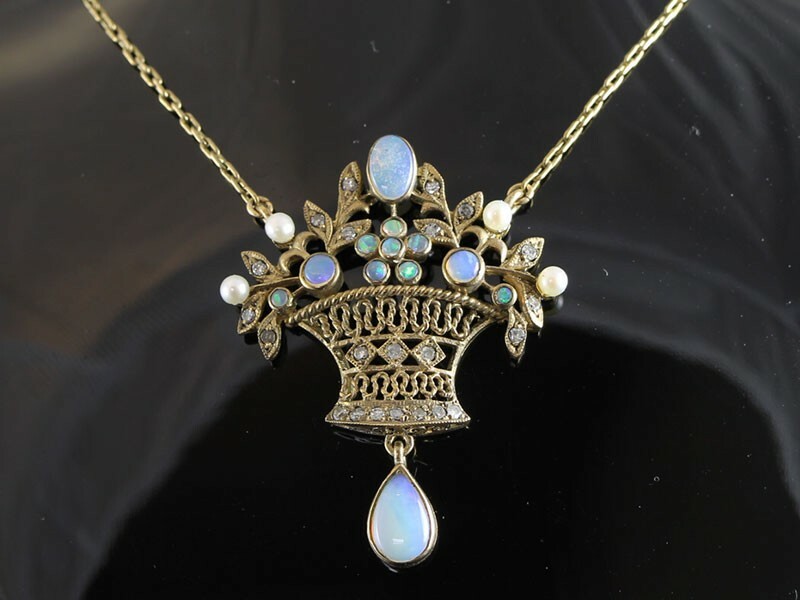 A very sweet and lovely necklace designed and rendered in a classic flower basket design adorned with sparkling Diamonds, white Pearls and Australian Opals. 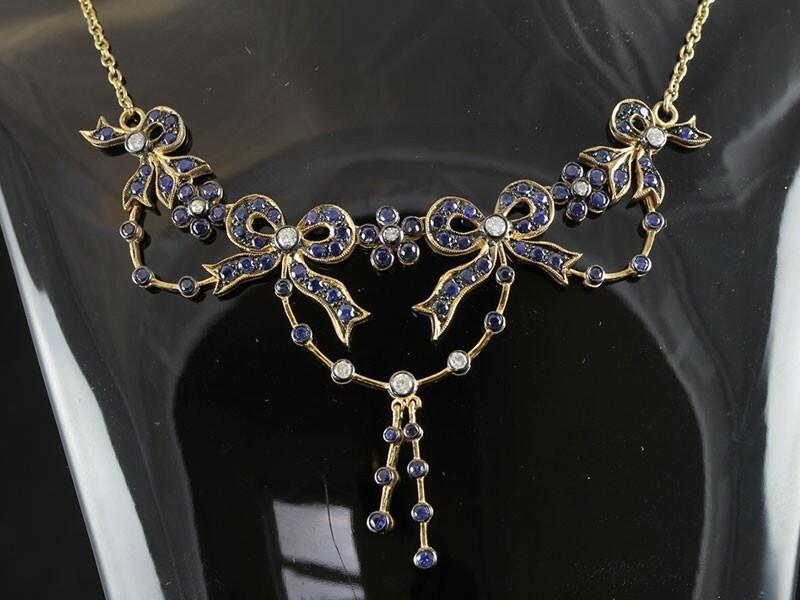 A fabulous Victorian inspired strand of five butterfly garnet-set links. 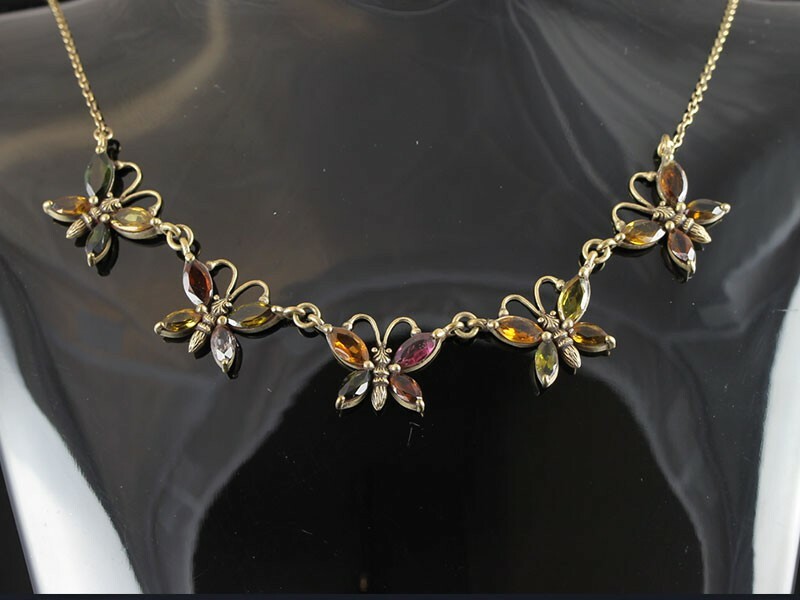 This darkly romantic Victorian handcrafted butterfly design links are suspended off a 9 Carat Gold chain. 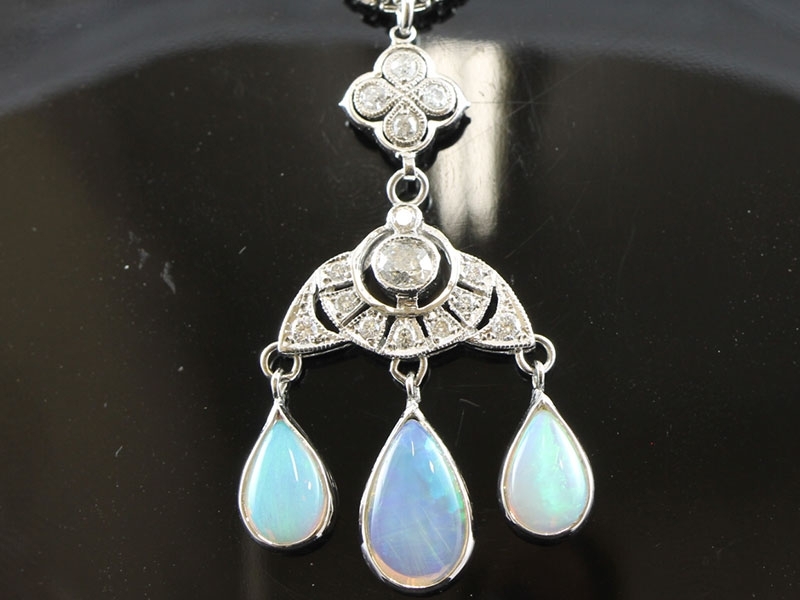 A gorgeous Art Deco inspired Opal and Diamond pendant, which oozes 1920's charm! 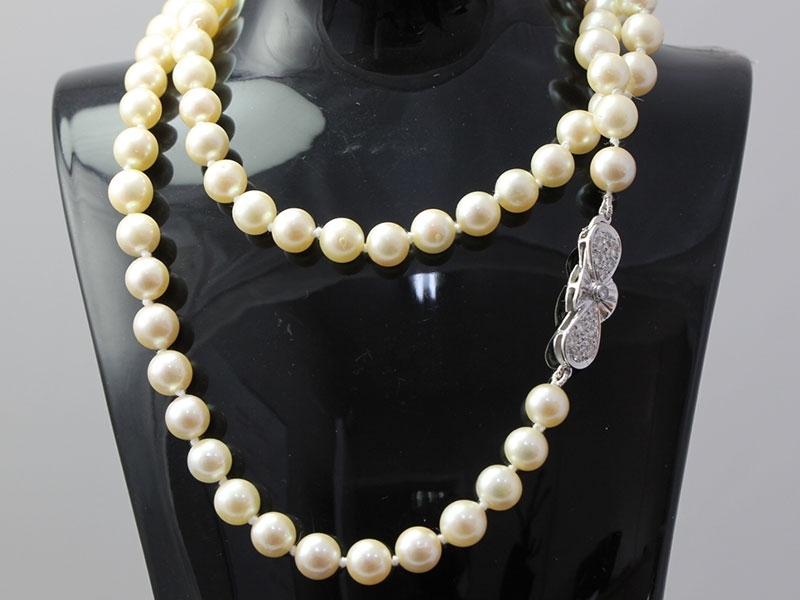 A lovely strand of matching Pearls with a beautiful bejeweled Diamond clasp.